February is the month where bleak winter magically blossoms into a splendid spring. 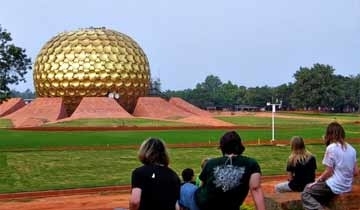 To celebrate the fine weather, people start looking for the best holiday destinations in India. February is celebrated as the month of love because of the ‘Valentine’s Day’. So, surprise your loved ones by taking them to the best places to visit in February where you can feel love in the air. February not only helps to cherish love but also amuses with a sudden burst of the various colors of nature everywhere. This is the best time to spend a day relaxing at the beaches of India or visiting the amazing wildlife sanctuaries across the country. 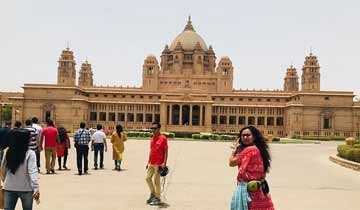 Delhi, Agra and Jaipur (Golden Triangle) are some of the best places to travel in February to witness the Indian heritage and cultural legacy. 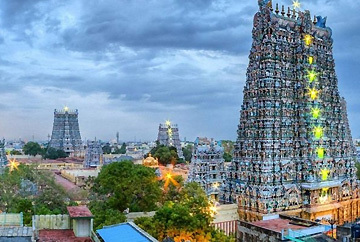 You can choose to visit South India with your friends and family to enjoy the landscape, waterfalls and its overall culture. The islands of Andaman and Lakshadweep, with their sandy beaches and opportunities for adventure sports, are the best places for enjoying the best holidays in February. Traveling in Februarycan be fun with so much to enjoy and delight in. From love, nature, wildlife, heritage, etc., there are a plethora of options that can make your trip memorable. February brings just the right time for beach lovers in Goa. The weather stays warm and pleasant, no precipitation and a clear sunny sky to tempt leisure travelers. Such climatic conditions put February amongst the best months of the state. The month also has an added advantage of the numerous festivities that come along its way. The major one is the Goa carnival which like an annual traditional affair is held on the lands of Goa during this time of the year. This Portuguese festival features a great deal of dance, music, entertainment and short plays and is one of the most awaited for the state. 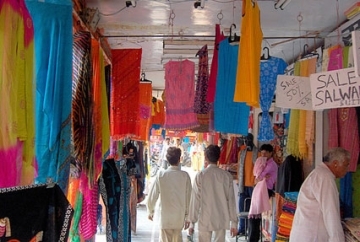 Jaipur is popular for its unique culture, tradition and ethnicity. It was erstwhile bastion of Kachchwaha Rajputs. The robust ramparts and palatial alleys along with vibrant bazaars make Jaipur as one of the busiest tourist destinations in India. 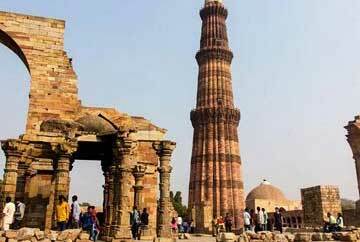 Along with the New Delhi and Agra, it falls under the popular golden triangle tour package. 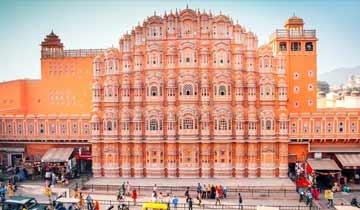 The best time to visit Jaipur is during the winters. From December to February, the temperature can touch a low mercury level of 4 degree making it the most ideal time for sightseeing and holidaying. 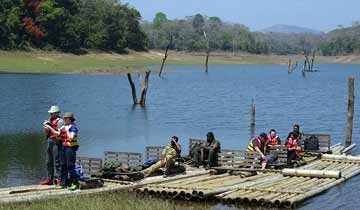 Thekkady becomes a paradise for photographers and wild enthusiasts in the month of February. This month is the ideal time to delight in exploring spice gardens, wildlife safari, boat rides, border hiking and bamboo rafting. Periyar National Park facilitates the golden opportunity to spot Tigers, Elephants, Sambar, and a variety of birds. Set amid the breathtaking Aravalis, Udaipur, well-known as the City of Lakes is located in the vibrant and lively state of Rajasthan. The historic capital of the Mewar Kingdom, Udaipur takes every visitor to the imperial Rajput era. Referred to as ‘Venice of the East’, the city is situated on the banks the sparkling Lake Pichola. Udaipur is best known for its rich cultural heritage. One of the most beautiful destinations of the country, Udaipur is dotted with a number of ancient temples, beautiful lakes and alluring palaces. Popular tourist attractions of the city include Pichola Lake, Fateh Sagar Lake, Udaipur Lake Palace, Monsoon Palace and more. The best time to visit Udaipur is during the monsoons when the sporadic rainfalls add to its beauty. 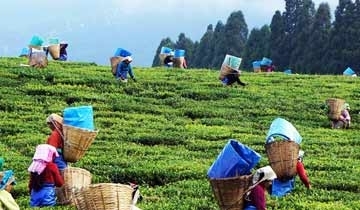 Darjeeling is a prominent hill station of North East India. The popular holiday spots looks gorgeous in February luring families, honeymoon couples and adventure enthusiasts for a visit. The UNESCO World Heritage Site Darjeeling Himalayan Railway, tea gardens, monasteries are amazing to explore. If luck favors, then be blessed with the view of the snow-capped Kanchenjunga Peak at sunrise. Also, join the festivities of Losar and Bumchu held on February. 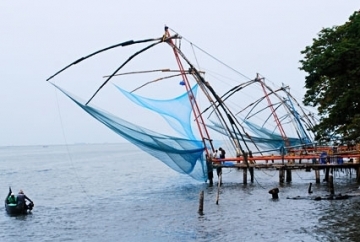 Known by its anglicized name Cochin, Kochi is located in Kerala, the southern state in India. It is the second largest city in Kerala after the state capital of Thiruvananthapuram. Kochi has a tropical climate with less variation. The summers are moderate and the winters are cool, however, there is less rain in between. Some of the interesting places worth visiting here include Fort Kochi Beach, Chinese Fishing Nets, Hill Palace Museum, St. Francis Church, David Hall, Dutch Palace and Jew Street. Once known as Kalapani for their role as a settlement for life imprisonment in dark, the Andaman Islands are now a relaxed tropical island outpost that belongs to India but is geographically closer to Southeast Asia. There are number of Andaman travel packages offered by online operators to make your journey more amazing and purposeful. The famous places that you can visit in Andaman include Elephant Beach, Barren Island and Mahatma Gandhi Marine National Park. Then there is Zoological Survey of Indian Museum that exhibits several varieties of corals, insects, sponges and centipedes etc. Come February, the month of love and Auli is thronged by snow lovers, honeymoon couples and adventure lovers from all over the world. 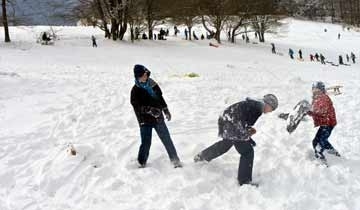 Snowfall blesses the beautiful hill station in Uttarakhand this month, making it the ‘ski capital of India’. Come, enjoy the powdery bliss descending from the heavens. The Golden City of Rajasthan, Jaisalmer is a destination blessed with a fairy tale setting. Nestled on the brink of the Thar Desert, the city is one of the prominent landmarks of the Rajput state. 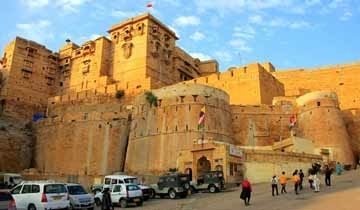 The golden hued Jaisalmer Fort, Sonar Quila is an inspiring magnificence looming as a backdrop. 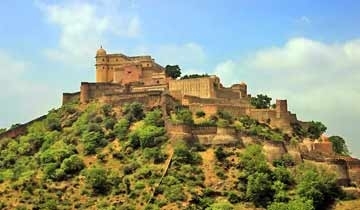 The beautiful Rajasthan city can be visited between November to February. Plan a visit in during the three day extravaganza of Jaisalmer Desert Festival held every year in February. Celebrate the desert landscape with colors, musical ballads, dance, handicrafts, competitions and festivities. The erstwhile capital of Mughal emperors, Agra is a city of monuments, markets and marvelous greenery. It is nestled on the bank of River Yamuna, around 200 kilometers away from Delhi. Some of the famous places that you can visit in Agra include Agra Fort, Fatehpur Sikri, Sikandra and Taj Mahal among others. The best time to visit Agra is during the months of November to March as the weather becomes pleasant. This is the time when one can escape from the scorching heat of the summer season. One of the largest and amongst the renowned national parks in India, Ranthambore is a major wildlife attraction spot that is built on the legacy of the former royals of Jaipur. 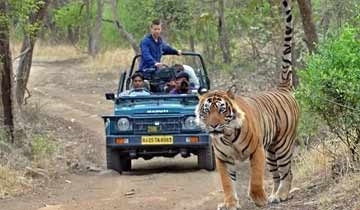 Established majorly as a tiger reserve, the national park is home to a large number of this majestic big cat. Swirling across the verdant green, capturing the tiger and a variety of exotic birds; all this feels highly rewarding only if you are traveling in the winter months. February, being a pleasant yet not so cold winter month, serves best for such a wild escapade. 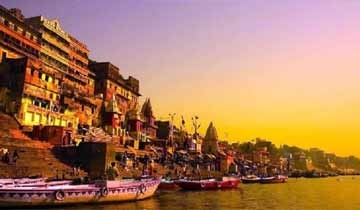 One of the holiest cities in India; Varanasi is situated on the banks of the sacred Ganga River in Uttar Pradesh. With temples built at every other corner, the city offers its tourists with a brush of the divine. 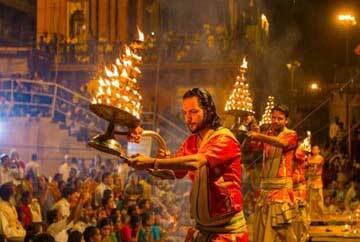 Other than the temples, Varanasi is known for its numerous religious Ghats, the place where the mystical rituals of the city takes place. Traveling to Varanasi during the offset of winters (February) brings an excellent opportunity to dwell in the festivities of Maha Shivaratri that take place on the sacred land at this time of the year. The ‘Queen of Hills’ Mussoorie is one of the most popular hill stations in India. February is quite the perfect time to plan a visit in Mussoorie. The month of love is well spent in this picturesque town. Lal Tibba, Kempty Falls, Gun Hill, Cloud’s End, Naag Tibba Trek are some of the best places to visit here. 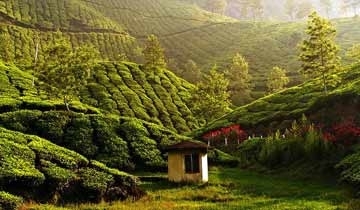 Ooty is one of the scenic beauty in South India. The hill station nestled in the elevations of Nilgiris is breathtaking. Known as the “Queen of Nilgiris”, it is enveloped by the clouds at 8,000 feet. A beautiful change from the polluted overcrowded cities, Ooty is every vacationer’s delight. Suitable to be visited throughout the year, the hill station has a unique charm. The verdant tea planation, the crystal clear lakes and undulating valleys are picturesque. 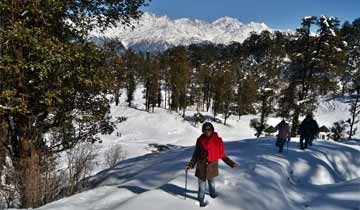 Plan a visit in February to enjoy the natural bliss bestowed on the hill station. Tucked on the eastern seacoast of India, Pondicherry is an ultimate destination for the ones looking for a peaceful holiday. This unique town has a beautiful amalgamation of modern heritage and spiritual culture, which can be rejoiced in the pleasing winter months. Particularly in the month of February when the summers start to make their presence felt. Hence, a pleasing weather with favorable conditions for beach activities, water sports and sightseeing, awaits the tourists. Other excitements of the month of February in Pondicherry include the widely celebrated festival of Maasi Magam. Kaziranga National Park is an UNESCO World Heritage site located in the blessed environs of Assam. The wildlife sanctuary is spread over 430 square kilometers. Comprising of swamps and grasslands, it is the ideal home of wild species. It is home to the largest population of one horned rhinoceros, 40 other mammals and birds some migrating from far lands of Siberia. Though open from October to April, February is the best time to plan your trip. The weather conditions are perfect. It is the time to celebrate the week-long Kaziranga Elephant Festival. 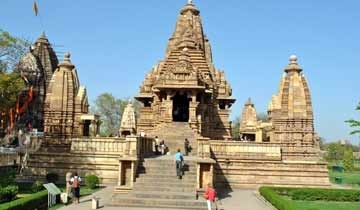 Studded with magnificent temples and pre-historic structures, the heritage hub of India; Khajuraho holds the key to the world of medieval India. It displays some of the finest temple art owing to which a full tour of this ruined village becomes a necessary mandate. Thus, it sets the condition of a comfortable weather, which in the summer and monsoon months turns totally remote. 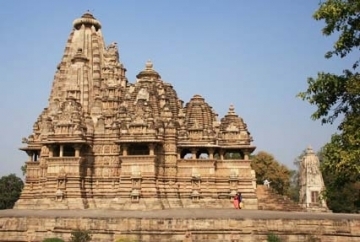 However, traveling to Khajuraho in the winter months, particularly February; offers a cool ambience to walk around the village exploring the temples, buying souvenirs and going for evening strolls. The Khajuraho Dance festival is an added bonus of February. A popular weekend getaway in the south western part of Karnataka, Coorg is known for its picturesque nature spots. To fill a nature’s admirer, it has lush green valleys, coffee plantations, sprawling tea estates, enchanting peaks and gurgling streams. 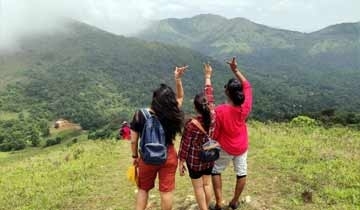 In order to enjoy Coorg in the best of its image, one must schedule his travel plans in the intermediate winter month of February. During this time of the year, the weather turns pleasant, making the tour of Coorg’s verdant surroundings highly pleasant. Not just for sightseeing, the month also sets in the perfect weather conditions for outdoors. Famously known as the ‘Meadow of Flower’, Gulmarg is a beautiful hill station in the state of Jammu & Kashmir. Beauty, adventure and relaxation are the three ingredients that make Gulmarg a wonderful destination to visit. The gorgeous paddy fields, quaint villages, rolling hills, a variety of flowers and snow-clad mountains are some of its key ingredients. As soon as winter arrives, these destinations are carpeted with snow which makes it look like a fairyland. It is a prominent heli-skiing resort in Asia. Other adventure activities that can be enjoyed here include golf and trekking. February is the month when the festivities of Rann Utsav are about to end. 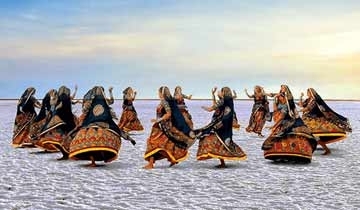 Visiting Kutch in this month offers a last chance to soak in the beauty of White Salt desert on a full moon night, intricate art, wonderful artefacts, flying cranes, flamingos, folkloric zest of Gujarat and much more. Glamorous mega city, Mumbai in Maharashtra is a beauty. The city is a world of its own. The hub of finance, Bollywood, arts, architecture, events and other delights; every visitor is spellbound by the metropolis. Snuggled on the coast of Arabian Sea, the water is pleasant throughout the year. Visit anytime and you will be pleased. February marks an alluring time to visit. 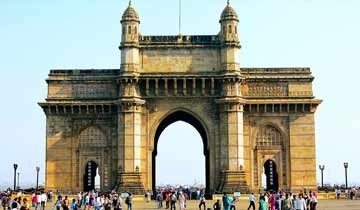 The city is geared up for the Kalaghoda Art Festival, International Film Festival, the Oscars of India; Filmfare Awards, Elephanta festival are many more. What are you waiting for? Adorned with azure waters and white sand dotted with green, Lakshadweep is the heavenly island archipelago of India. Counted among best places to visit in February, the islands lure with beaches and adventurous activities. Yachting, scuba diving, kayaking, snorkeling and swimming etc. engage tourists. Honeymoon or family vacations, have a memorable time! Delhi becomes ready to welcome the spring in the month of February. The blooming flowers and their enticing fragrance offer a pleasant sight. Prominent markets offer great shopping opportunities whereas iconic landmarks are best explored in this month. Mughal Garden also opens its gate for the visitors. Don’t miss the Surajkund Fair! The second largest city of Rajasthan in India, Jodhpur is a popular city known for a number of palaces, historical monuments, forts and temples. It is also known as the Sun City due to its bright and sunny weather it enjoys all round the year. Just like historical palaces, it is also famous for its quality wooden furniture. The historical monuments in Jodhpur include Mehrangarh Fort, Jaswant Thada, Umaid Bhawan Palace and Osiyan temple among others. The best time to visit Jodhpur is from October till March when the temperature ranges from 10 degree Celsius and 24 degree Celsius. Seychelles is made of tropical holiday fantasies. The 115 islands archipelago in the middle of the Indian Ocean is blessed with beautiful stretches of powdery soft sands, turquoise waters, technicolor coral reefs, and UNESCO listed nature reserves. Relish a stay in the heavenly luxurious resorts. 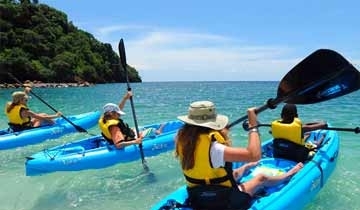 Diving, snorkeling, surfing, sailing, trekking and other aquatic pursuits thrill the visitors. Mouthwatering Creole cuisines tantalize your senses. The heavenly islands deserve to be explored. February is a pleasant time to visit. In the month of romance, fall in love with enchanting Seychelles. 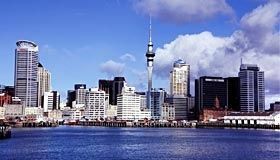 New Zealand is one of the most cherished holiday destinations of the world. Holidays here encompass sunshine on the shores, thrilling adventures, snow on mountains, vibrant festivals and enchanting attractions. The breathtaking scenery, friendly people creates a memorable experience of the island nation in South Pacific. February is the month to plan your holiday. The weather is perfect. Summers are still warming the days. “Splore Festival” is on the calendar alluring international crowds with music, fun, events and delicious gastronomy. Plan a memorable expedition in the month of love. The sun-kissed Dubai on the Persian Gulf lies on the edge of the desert. The remarkable UAE city has innumerable enchantments. The highest tower, the artificially-built islands and seashore, largest shopping mall, extravagant luxuries, incredible festivals and attractions, Dubai is a recipe of wonderful holidays. February is a blessed time to visit. The weather is at its best. The city is hyped up form the month long international shopping festival and continues the festive mood. Dubai Food Festival is the event of February. Pack your bags for a memorable holiday. USA, the United States of America boasts of incredible holidays. Blessed with diversity, visitors in the country are spoilt with options. 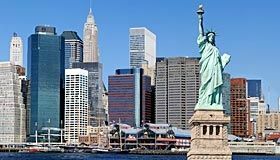 From the skyscrapers of New York, sun-kissed seashores of California, Florida and Hawaii, glitzy Los Angeles and Las Vegas, cultural treasures in Washington and the southern states, adventures in Yellowstone, Grand Canyon or the Disneyland, the choices are irresistible. Mardi Gras, the celebration falls in February and makes a good time to plan your trip. Weather is at its best, pack your bags for a cherished vacation in USA.